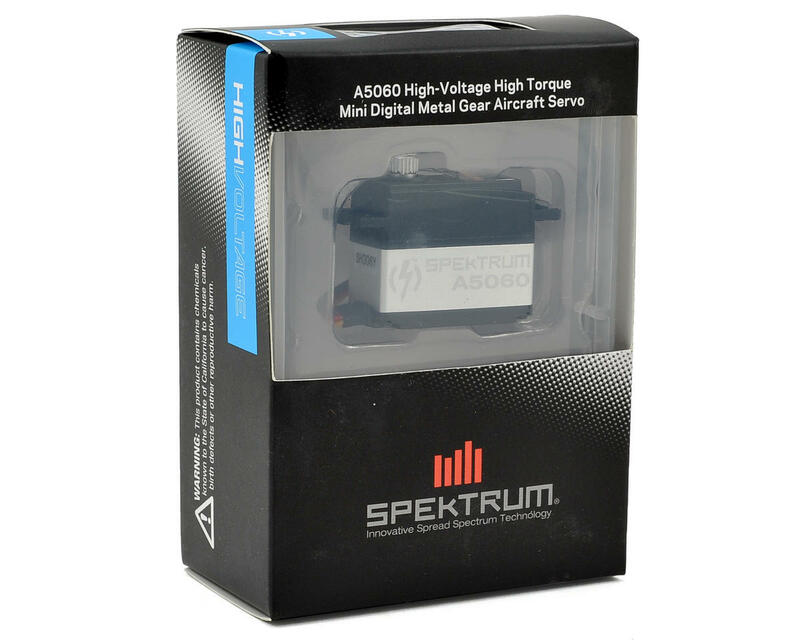 This is the Spektrum A5060 High Voltage Metal Gear Mini Digital Aircraft Servo. The A5060 delivers big servo performance in a small package. Perfectly sized for 25-32 size aircraft, the A5060 helps to keep the weight down without sacrificing performance. Able to deliver 118 oz-in of torque and 0.11 transit speed at 7.4V, the A5060 will deliver the power, precision and durability you have come to expect from Spektrum servos. 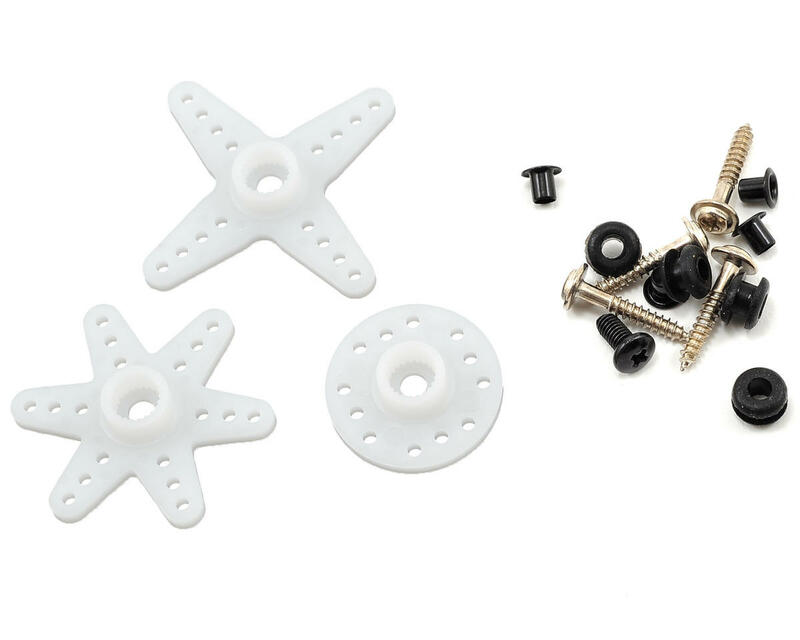 These servo's are fast, light, and pretty tough, although they are noisy. I have 5 of these servo's now. I'm using 4 in my 1.9 Mini Rock Crawlers and 1 in a GoPro Gimbal. So far my experience with all 5 has been great. No failures and no jitters. 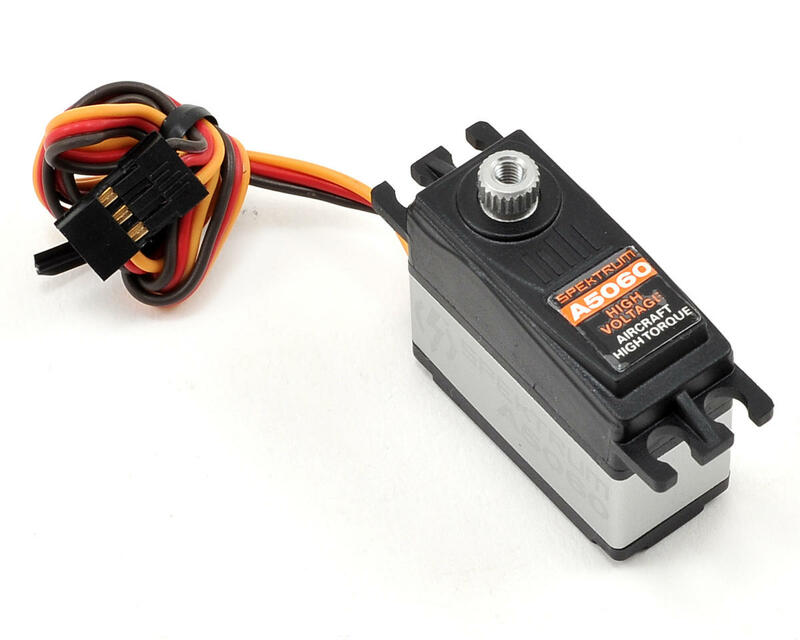 If you are the kind of RC enthusiast that hates servo noise, you may find them to be bothersome, but aside from that good little servo. I noticed a massive performance difference between 6v and 7.4v as well. These little guys really need the 7.4v to perform. These are OK servos. I tried them on my 64" MXS from Extreme Flight. They are really jittery, but I found a way on YouTube how to stop the jitter. They are pretty precise, and strong, and speed is nice. I was getting a tiny bit of blow-back. The Futaba 9070SB's are MUCH better. So are the 7245's from HiTec. I would not recommend these with 3D airplanes. There are better servos out there with better prices.